Like many Sri Lankans across the country, I joined Sri Lanka’s 70th Independence Day festivities last week. This was undoubtedly a joyful moment and proof of the country’s dynamism and stability. At 70, Sri Lanka has accomplished a lot in its seven decades as an independent nation. The country’s social indicators, a measure of the wellbeing of individuals and communities, rank among the highest in South Asia and compare favourably with those in middle-income countries. In the last half-century, better healthcare for mothers and their children has reduced maternal and infant mortality to very low levels. Sri Lanka’s achievements in education have also been impressive. Close to 95% of children now complete primary school with an equal proportion of girls and boys enrolled in primary education and a slightly higher number of girls than boys in secondary education. The World Bank has been supporting Sri Lanka’s development for more than six decades. In 1954, our first project, Aberdeen-Laxapana Power Project, which financed the construction of a dam, a power station, and transmissions lines, was instrumental in helping the young nation meet its growing energy demands, boost its trade and develop light industries in Colombo, and provide much needed power to tea factories and rubber plantations. In post-colonial Sri Lanka, this extensive electrical transmission and distribution project aimed to serve new and existing markets and improve a still fragile national economy. Fast forward a few decades and Sri Lanka in 2018 is a far more prosperous and sophisticated country than it was in 1954 and, in many ways, has been a development success story. Yet, the island nation still faces some critical challenges as it strives to transition to another stage of its development and become a competitive upper middle-income country. Notably, the current overreliance on the public-sector as the main engine for growth and investment, from infrastructure to healthcare, is reaching its limits. With one of the world’s lowest tax to gross domestic product (GDP) ratios – 12% in 2016, down from 24% in 1978 —Sri Lanka’s public sector is now facing serious budget constraints and the country needs to look for additional sources of finance to boost and sustain its growth. As outlined in its Vision 2025, the current Government has kick-started an ambitious reform agenda to help the country move from a public investment to a more private investment growth model to enhance competitiveness and lift all Sri Lankans’ standards of living. The Government’s National Trade Policy, which sets out a path to enhance trade within and outside the region and create an enabling environment to attract foreign investment, is a major step in the right direction. A significant part of this effort includes improving trade competitiveness by reducing the time and cost required to fulfil regulatory processes to import and export — which are currently scattered across more than 34 government agencies. To that end, the trade information portal, which consolidates into one online space all procedures and compliances needed to export or import and transit, will soon be easily accessible to stakeholders. As I wrote in a previous blog, it is encouraging to see that the trade-related efforts led by Sri Lanka Customs are conducted in consultation with both the Government and the private sector. In fact, many of the Government’s trade and investment-related reforms are being developed in consultation with key stakeholders from the public and private sectors. In this context — the World Bank has been responding to Sri Lanka’s need to involve the private sector to spur its development. Last October, we signed with the Government a $ 75 million agreement to help modernise and improve the efficiency of Sri Lanka’s financial sector. This, in turn, will help small businesses and entrepreneurs, which suffer most from lack of clarity around trade rules and regulations, compete in the markets and create better jobs. Looking ahead, next year will mark an important milestone in our long relationship with Sri Lanka as the country will no longer receive financing from the International Development Association (IDA), the World Bank’s fund that supports the world’s poorest countries. Sri Lanka graduated from IDA in July 2016 and now receives World Bank funding through the International Bank for Reconstruction and Development (IBRD) on market based rates. This transition represents a shift on how we allocate resources and does not mean, as said before, that the World Bank is pulling away its resources from Sri Lanka after 2019. Rather, the Government’s ambitions to better integrate Sri Lanka in the global market and provide the skills, services, and infrastructure that are expected from a competitive economy, will require a broad range of solutions that are beyond the scope of public funding alone. As the country progresses, so does our support. The World Bank remains engaged and will use its expertise and financial resources. We continue our support to Sri Lanka’s development with a focus on attracting private capital and investment to optimise the use of scarce public resources. 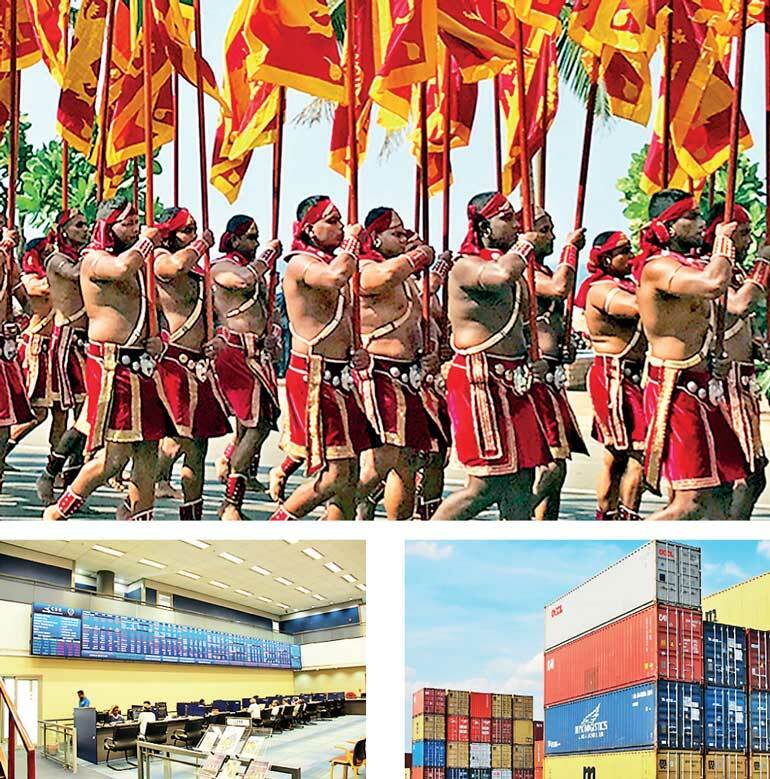 As it looks to the future — and many more celebrations — Sri Lanka is now presented with an opportunity to shift its course to a more competitive and inclusive growth model. And while many critical steps are still necessary to translate this vision into reality, the World Bank will continue supporting this journey towards a more prosperous future.